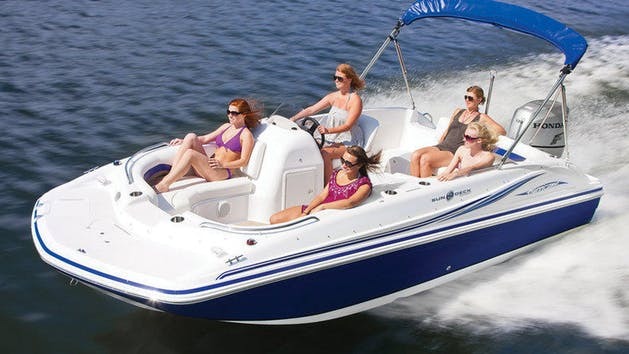 What makes the Hurricane Sundeck the ultimate deck boat is the overall package. For water sports, fishing and entertaining, every square inch is designed with well-thought-out storage, comfortable seating arrangements and functional features. This boat is powered by a 150 hp Mercury outboard engine and is perfect for wakeboarding, tubing or water-skiing for your group up to 10 passengers. Additional fuel charge applies.